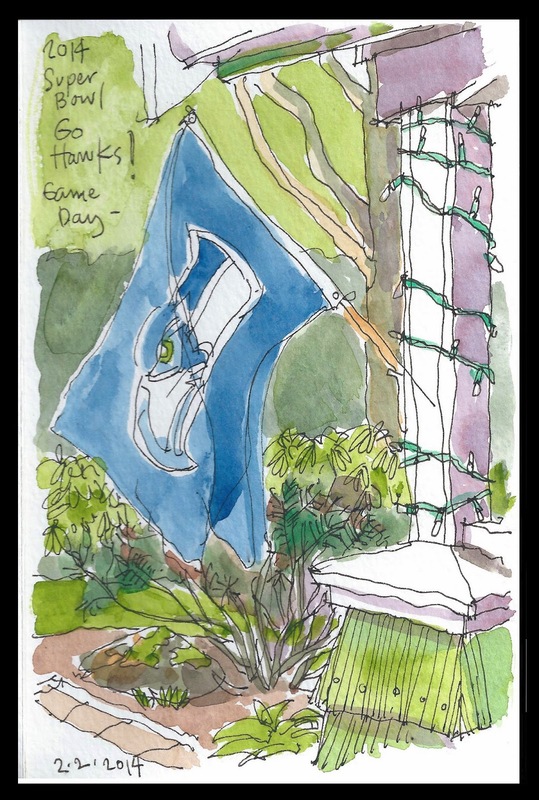 Urban Sketchers Seattle: GO HAWKS!!!! In celebration for the BIG GAME today, I sketched the flag hanging on my front porch. Here we go!! GO HAWKS!! !